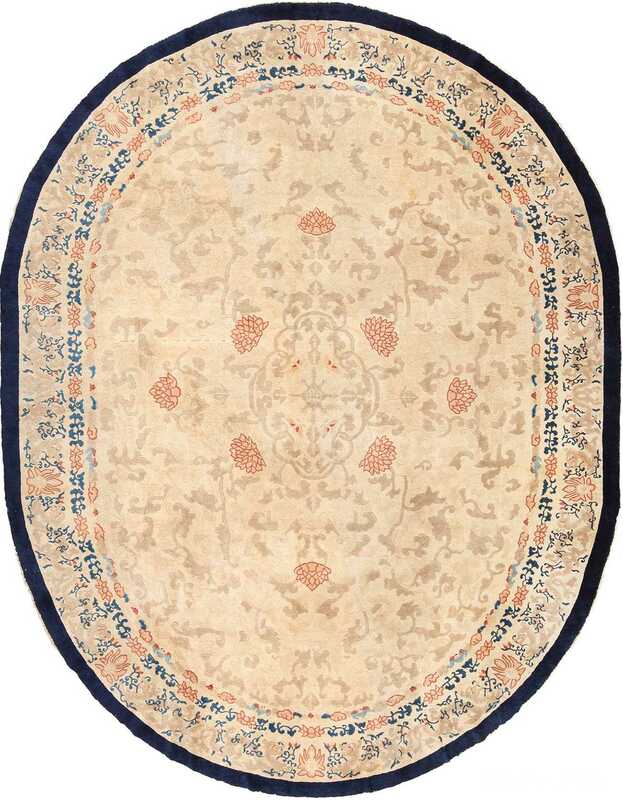 From the small floral detail elements that appear throughout the piece to the colorful interpolation of its constituent parts, this Chinese Art Deco carpet is an exciting and unique example. 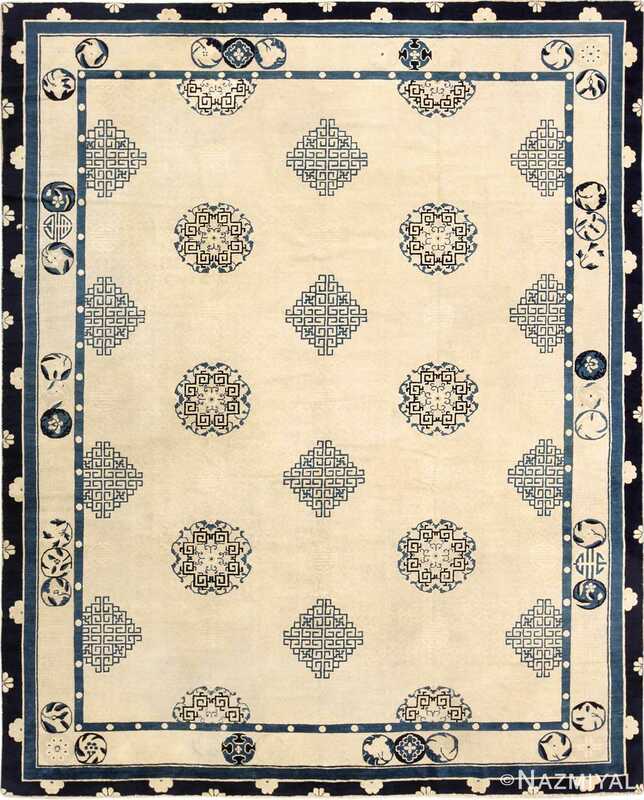 Chinese Art Deco Rug, Country of Origin: China, Circa Date: First Quarter of the Twentieth Century – Extraordinarily vibrant, this delightful and happy Chinese rug is characterized by a lovely and unique pallet of pastels, as well as a uniquely complex composition of interlocking geometric figures. From the border through the field, this comely Art Deco composition features exciting rectilinear shapes arranged in a tessellating pattern, in which each individual figure fits perfectly within every other. 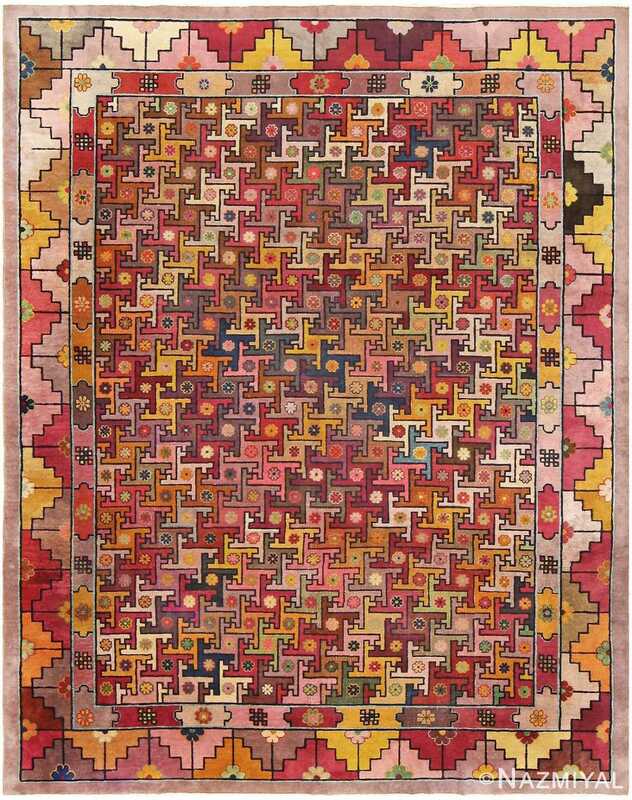 The purples, pinks, oranges and yellows that dominate the action of the carpet infuse with a unique quality of liveliness and playful experimentation, while the quality of the weave and the sharpness of the line work throughout reinforce the fact that is a beautifully woven artisanal carpet. 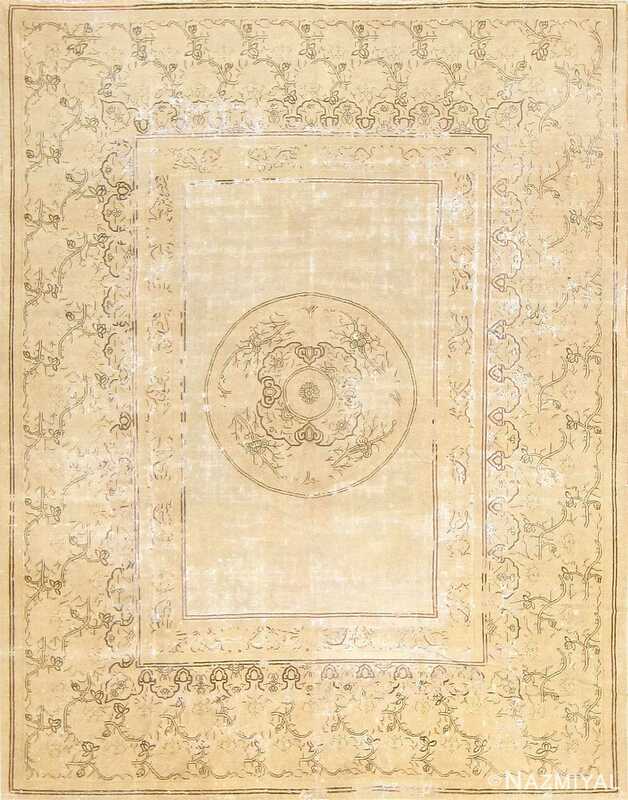 From the small floral detail elements that appear throughout the piece to the colorful interpolation of its constituent parts, this Chinese Art Deco carpet is an exciting and unique example.